Operative Procedures in Plastic, Aesthetic and Reconstructive Surgery is a comprehensive, step-by-step guide to the most common plastic, aesthetic, and reconstructive procedures. 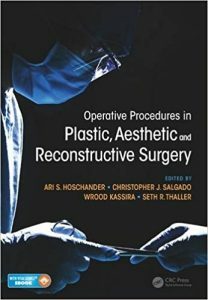 Few resources in the field provide such a detailed description of commonly performed operations in one place. Each chapter presents a well-documented technique for a specific clinical diagnosis. 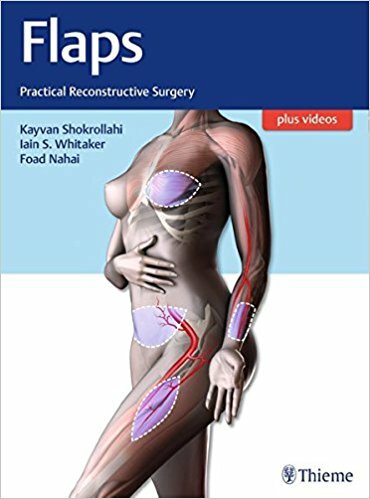 It discusses preoperative markings, intraoperative details, postoperative instructions, and avoidance of complications for each surgical procedure presented.The authors use extensive clinical photographs, drawings, and detailed descriptions to guide readers through each procedure. A list of the essential equipment required for each operation is provided. In addition, the book includes a list of commonly accepted CPT codes associated with the described procedure. In all, 32 procedures are presented including skin grafting, breast reconstruction, liposuction, carpal tunnel release, breast augmentation, brow lift, orbital floor fracture, mandible fracture management, lower extremity reconstruction, and more. 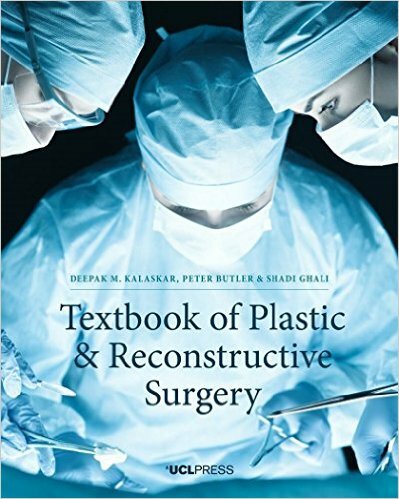 Written by experts in plastic and reconstructive surgery worldwide, this book is a valuable resource for practicing plastic surgeons as well as residents and fellows in plastic surgery. Aesthetic rejuvenation now encompasses so many topics that practitioners in one area may feel out of touch with developments in other areas in the same field. 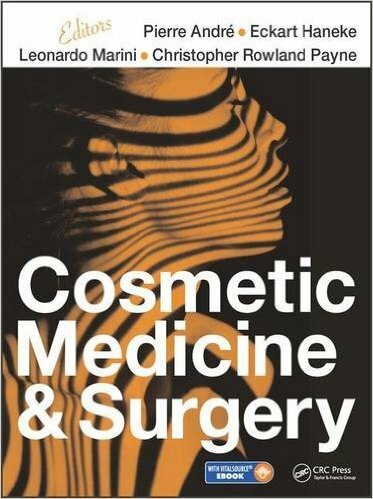 With over 70 chapters, over 1200 figures (many in full color), over 80 tables, and over 20 videos, from an international list of contributors, under an eminent team of editors, Cosmetic Medicine & Surgery is a comprehensive and authoritative resource. 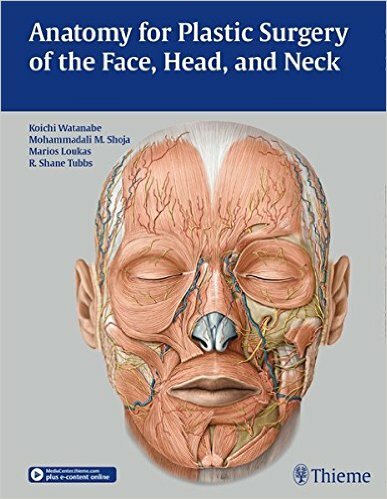 It covers a wide spectrum of topics including the fundamental aspects, cosmetic aspects, minimally invasive surgery, the aesthetic facelift, and many others in this most high-profile of medical and surgical specialties. Master the latest medical and cosmetic procedures with Surgery of the Skin, the most comprehensive dermatological surgery resource available. 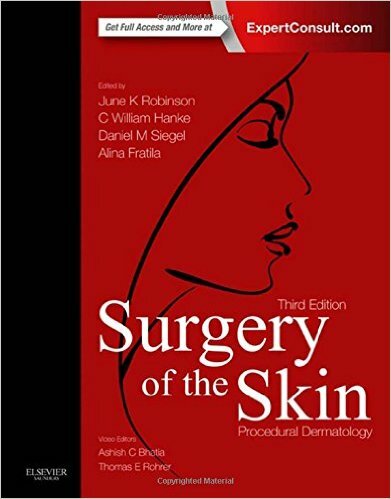 Written from the surgeon’s perspective, this medical reference book features step-by-step guidance on performing the most updated developments and cutting edge approaches across the entire spectrum of dermatologic surgery.Surgery of the Skin was awarded the prize. Improve surgical results and avoid pitfalls with expert, evidence-based guidance. 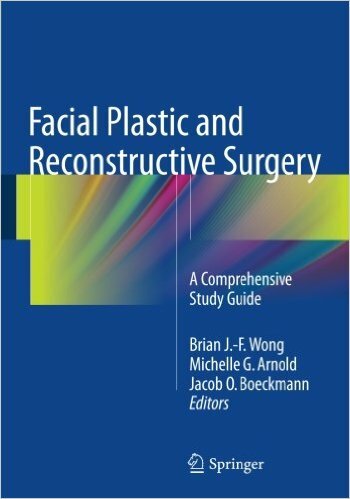 Stay on the cutting edge with in-depth step-by-step descriptions of tumescent vertical vector facelifts, blepharoplasty, composite grafts, Botox treatments, soft tissue augmentation, management of dysplastic nevi and melanoma, and more. View immersive videos from an expanded library with more than 130 clips totaling over six hour’s footage. Explore brand-new chapters on rejuvenation of the female external genitalia; hidradenitis suppurativa; and photoaging-related mottled pigmentation. Improve treatment outcomes for patients with skin of color and gain a truly global perspective of dermatologic surgery through an expanded contributor group of leading international experts. Master how to perform cutting-edge techniques across the entire spectrum of dermatologic surgery, including botulinum toxins; fillers; cryosurgery; flaps; grafting; scar revisions; lasers; face-lift techniques; blepharoplasty techniques; Mohs surgery; and more. 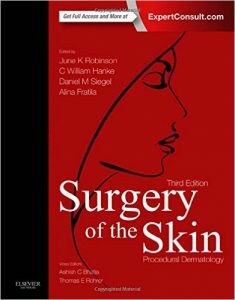 Effectively manage a full range of complex disorders, such as vitiligo surgery, keloids, and leg ulcers, with a unique section devoted to these special procedures. Easily visualize complex procedures and concepts with more than 1,000 illustrations, photos, and graphics. 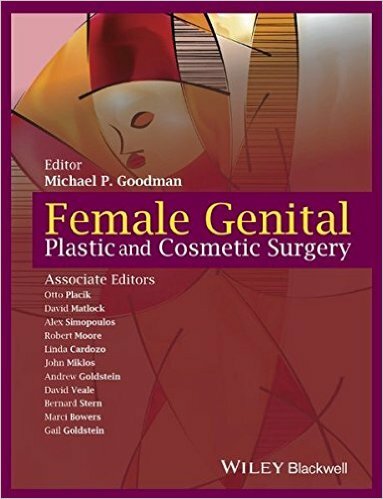 Female genital plastic surgery has become an increasingly sought-after option for women seeking ?improvement? in genital appearance, relief from discomfort, and increased sexual pleasure. These surgeries are a combination of gynecologic, plastic, and cosmetic procedures. Every year sees a higher demand for physicians properly trained and able to perform them. Examining the issues from individual patient?s perspectives, it is written in an academic but easy-to-read style with understandable and unambiguous drawings and photographs. It contains a step-by-step surgical approach, how to best select the right surgical candidates, how to treat this select group of patients, the sexual issues involved, how to individualize techniques for each specific patient, how to deal with criticism from colleagues or journalists, psychosexual issues, and patient protection. mishaps that often result in patient disfigurement. 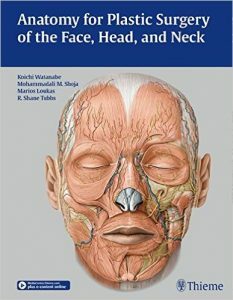 need to learn about an unfamiliar area of the head and neck. Concentrating on technique, which is explained and illustrated in detail, this book is written by worldwide experts and provides detailed, step-by-step instructions on how to perform state-of-the-art endoscopic surgical techniques in the complex Plastic Surgery field. More than 300 high-quality photos help clarify complex techniques throughout the book. 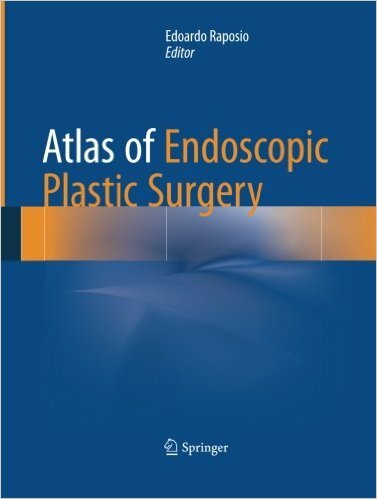 Atlas of Endoscopic Plastic Surgery represents a comprehensive description of the current endoscopic techniques in the plastic, reconstructive an aesthetic field. 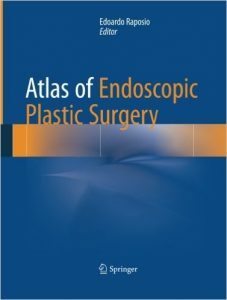 It supplies surgeons with all the information necessary to successfully accomplish an endoscopic approach to vary plastic surgery procedures, from carpal and cubital tunnel release, breast augmentation and reconstruction, migraine surgery, hyperhidrosis management, to facial aesthetic surgery, flap and fascia lata harvesting, and mastectomy and abdominal wall surgery.